There is no shortage of lettings agents in Putney, so you do have an abundance of choice, but we would suggest you only instruct a local agent who is licensed to a Trade Association such as ARLA Propertymark (the Association of Residential Lettings Agents). ARLA is an independent organisation solely concerned with the letting market and protecting Landlord's and Tenants from rogue agents and wrong doings. It ensures that its affiliated agents meet specific professional standards and fulfil other strict criteria such as provision of a separate client account for collection of clients’ money and availability of a bonding scheme to protect the client in the event of misappropriation of clients’ funds. 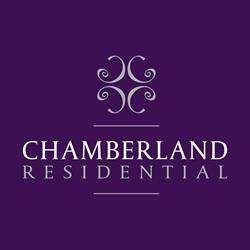 Chamberland Residential Ltd. has been a licensed ARLA Propertymark member since opening its doors. Having chosen us as your agent, you will be instructing an accredited and regulated agent who has your best interests in mind at all times. Written consent must be obtained from your Mortgage Provider/Freeholder (if property is leasehold). Your Insurance Company must be notified that the property is to be rented out and appropriate insurance obtained for a tenanted property. There are specialist insurance companies who can provide this and we would be happy to assist you. The Inland Revenue must also be informed within 6 months of letting your property, flat or apartment in the UK and failure to do so will incur penalties, interest and other consequences. The Inland Revenue are apt to deal harshly with Landlords who do not declare rental income and it is always best to seek advice on tax planning and Capital Gains Tax from a fully qualified Accountant. An Inventory is required whether the property is let furnished or unfurnished and accurate descriptions of the overall condition of wall/floor coverings, kitchen and bathroom fittings as well as cleanliness to name but a few, are essential. Amounts cannot be withheld from the Tenant’s deposit unless the loss or damage is proved to have been caused by the Tenant. We of course will offer this service to you and details will be discussed upon the Market Appraisal.